FTPs stands for FTP protocol which utilizes TLS encryption in order to protect communication between you and server. There are multiple reasons for using FTPs over FTP. In this guide, you will find out how to securely connect to your Seedbox, and transfer your files. 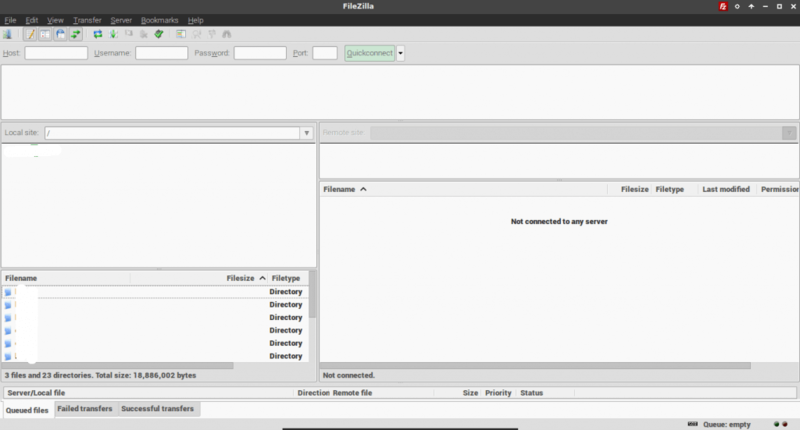 Filezilla is most popular FTP protocol software suite. Full documentation can be obtained at FileZilla’s official web page. – Find your FTP credentials. After the Filezilla is installed it is a time to configure it. The main interface will look like on the picture bellow. Navigate to File/Site Manager. Within Site Manager your can manage multiple FTP connections, without having to memorize all credentials. Encryption: set to require explicit FTP over SSL. This step is very important! Tip: Navigate to Transfer Settings while you are in the same window. Tick on Limit number of simultaneous connection like on the picture. Set Maximum connection to 10. This will allow Filezilla to download multiple files at the same time. Once you have added and saved your FTP connections, they are available for quick use in the Site Manager. 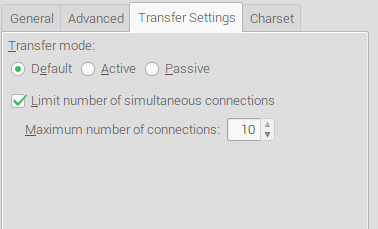 Using the same routine, you can add different FTP(s) connections and save them. Once you’re logged into your Seedbox via FTP(s) you can easily upload and download files from and to your server.